If you are getting a divorce in the State of New Jersey you may, or may not, need the advice of a New Jersey Divorce Lawyer. New Jersey has special rules concerning divorce that are distinguishable from other states in the Union and in order to reach a fair and quick resolution it is important to have a New Jersey divorce lawyer. When you are seeking a dissolution of marriage there is a certain period of time before you will need to get the services of a New Jersey Divorce Lawyer. Attorney representation in a divorce proceeding is not required and should be retained when it is clear that a divorce is necessary. New Jersey requires different periods of time for the finalization of a divorce depending on the circumstances. The requirements for getting a divorce in the State of New Jersey are somewhat simple. The State of New Jersey has residency requirements that must first be met before a petition for the dissolution of marriage can be filed. In order to get a divorce in the State of New Jersey either one of the spouses must meet a 1 year residency requirement within the State of New Jersey. (3) there is a showing of fault on one of the parties. In the first kind of divorce both spouses agree to divide the property of the marriage, settle custody and child support, and agree on spousal support. In the second kind of divorce the parties have lived apart and been financially separate for a period of 18 months. In the latter kind of divorce the spouse suing for divorce will allege one of seven grounds: extreme cruelty; adultery; institutionalization of one spouse for 24 months; imprisonment for 18 months; desertion for a year; alcohol or drug addiction for one year; or sexual abuse. Each one of these grounds requires a different waiting period for before a divorce may be finalized. A New Jersey Divorce Lawyer should definitely be retained in these situations. If allegations of any of these 7 factors are proven in court then it can drastically alter the monetary obligations involving support, division of property and child custody. Divorce Lawyers in New Jersey can, not only help you with getting your divorce, but can also help you with the technicalities involved with child support, alimony, child custody, and the distribution of the marital property. Divorce lawyers in New Jersey are very important in the negotiation stages of a divorce. It is in the best interest of the New Jersey courts to have divorces settled by the spouses themselves. It saves the New Jersey courts time and money and is the public policy of the New Jersey court system to have divorce procedures handled, as much as possible, through mediation. This is where your divorce lawyer in New Jersey will be very beneficial. When negotiating the terms of a divorce including division of property, spousal support, and especially matters involving the children of the marriage; it is important to have a New Jersey divorce lawyer who can negotiate agreements while not having any emotional attachment to the proceedings. New Jersey uses the equitable distribution model when distributing the marital property. This does not mean that the marital property is divided equally amongst the spouses. The objective is to have the marital property divided based on fairness. New Jersey divorce lawyers will attempt to show that you have a specific hardship, or in the reverse, that your spouse is financially secure. Factors that the courts consider when determining distribution of the marital property include: the contribution of the spouses to the marriage; economic circumstances of the spouses; who the primary caregiver is; the duration of the marriage; contributions to the education of the other spouse; and contribution, or improvement of marital property. One of the most important parts of any divorce proceeding is the determination of child support, custody, and visitation rights. In these situations it is imperative that you have a divorce lawyer. New Jersey law requires that individuals seeking a divorce, where that divorce will involve children, be required to attend mandatory parenting education programs. Many states will have differing divorce laws defining the division of property and the reasons to file for divorce. Conditions for spousal support and custody are also determined on a case by case basis. A New Jersey divorce lawyer will be able to guide you through divorce in New Jersey and achieve a favorable outcome to the case. You will be able to set up child support arrangements as well as dictate the terms of that agreement so that the outcome is favorable to both your needs and the needs of the child. How do I know my New Jersey divorce lawyer is legitimate? Membership in the New Jersey State Bar Association is not mandatory but with over 17,500 members, finding a reliable lawyer that abides by the rules of professionalism and ethics regulations should not be difficult. Find a New Jersey divorce lawyer that is a member of the State Bar Association, if possible. There are also county-based bar associations, for a more focused search for a reliable New Jersey divorce lawyer. The New Jersey State Bar Association maintains a lawyer referral service for the public, as well as awarding pro bono awards for lawyers that work for the public interest. When seeking to file a divorce, meet with the New Jersey divorce lawyer to discuss strategy for the case. You should bring documents such as a listing of shared assets, agreements between the spouses and in cases involving spousal support, documents detailing the incomes and assets of the other spouse. Spousal support generally keeps the spouse receiving the support at the same standard of living enjoyed by the spouse prior to the divorce. To maximize the spousal support to be paid, ensure that the New Jersey divorce lawyer is aware of all assets and potential sources of income so that when the case goes to court to determine spousal or child support, your lawyer will be able to achieve the optimal level of support to be paid to you, especially if you are the custodial parents of any children in the marriage. How does child support factor for divorces in New Jersey? Although the ultimate determination for the level of child support is in the hands of the court, there is a formula that accounts for contributions to daycare, insurance and gross monthly income. This formula can develop a guideline for child support. With this formula a non-custodial parent with one child, an income of $60,000, no other alimony arrangements and contributes $500 to group health insurance, will pay a significant amount of support to a spouse with $20,000 gross income, no contribution to insurance, but significant childcare contributions. A New Jersey divorce lawyer can work with this formula to adjust the amount of payments to best suit your needs. The New Jersey divorce lawyer can also help defend the current level of child support in the event of a reassessment. Reassessments occur if there is a significant change in the financial status of either parent, or if the income paying the child support is derived from public support payments. 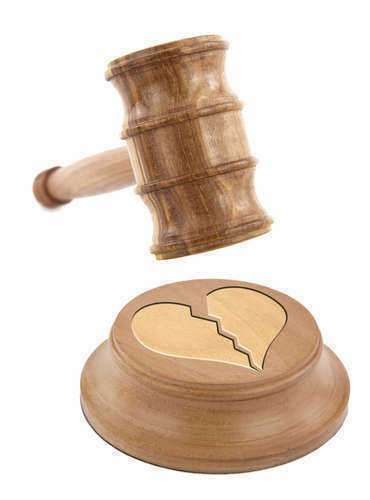 What are some grounds for divorce in New Jersey? There may also be a no fault separation in New Jersey if there is no reasonable chance of reconciliation. What will I pay for the services of a New Jersey divorce lawyer? Legal fees are almost always variable and New Jersey divorce lawyers will post fees as a range, rather than a set figure, to reflect the variable outcome and length of court cases. Factors affecting your case may include a spouse disputing your support claims or right to custody. Disputed cases are long and as such, will be more expensive. Some lawyers will also mandate a retainer in addition to another fee arrangement, such as hourly billing. Ensure you receive all fees in writing to avoid potential overbilling or deceptive fees on the part of the lawyer. Some divorce services, such as mutual divorces or divorce petition preparation are offered at flat rates. This is useful for individuals or couples that want to avoid the potentially damaging legal expenses that accompany divorce and are will to try an alternative dispute resolution to achieve an equitable division of assets. Arrangements made through mutual divorce as just as legally binding as those made in a court of law. Take advantage of free consultations when they are available to discuss potential fees and payment arrangements with New Jersey divorce lawyers. The above fees do not consider court costs, which are also paid by the client. You may be able to arrange low cost and extended payment for legal services at the discretion of the attorney or law firm. What are questions to ask New Jersey divorce support lawyers? How does my case relate to New Jersey state and local laws? How is gross income calculated in New Jersey for the purposes of child support? You have a number of options when seeking a divorce lawyer in New Jersey. Some divorce lawyers New Jersey will be specialized in dealing with matters from the perspective of one of the spouses, such as divorce lawyers for men which will fight to ensure that child support payments are reasonable and made to benefit the child only. This is due to the public perception of divorce being unfair to men. Other divorce lawyers in New Jersey will specialize in specific aspects of divorce law such as no fault divorces and separations. For couples looking for a cheaper alternative to divorce lawyers New Jersey, they may opt for flat rate services. The flat rate divorce lawyer in New Jersey can facilitate an amicable divorce, where the couple agrees to the division of assets and support payments to ensure that the separation is fair and equitable.